Jake is a second year apprentice here at CWE, and aged 22 he is one of the more senior members of the apprenticeship team. Growing up, Jake wanted to be a pilot, but later pursued a career in electrics. He first heard about apprenticeships in school. Once he qualifies as a JIB Electrician, Jake wants to go onto university to further his studies. 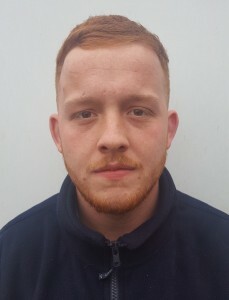 Jake has a keen interest in electro technology and his favourite module is practical training. Jake’s advice to those seeking an apprenticeship would be to persist with the training. Even though the first year of the apprenticeship wage seems low, keep going, the rewards come quickly by year 2 and also upon qualification. First year apprentice, Jack, has wanted to be an Electrician all his life. Jack came to CWE after hearing really great things from a fellow course member who is currently a level 3 apprentice at our company. 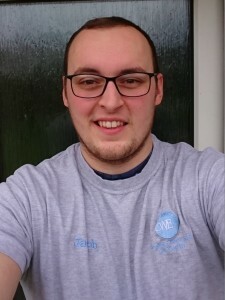 Jack enjoys all elements of the NVQ from practical to theoretical study. Jack would recommend an apprenticeship in electro technical, he says ’I enjoy working with Electricians, I learn a lot’ and he would particularly recommend completing your apprenticeship at CWE.